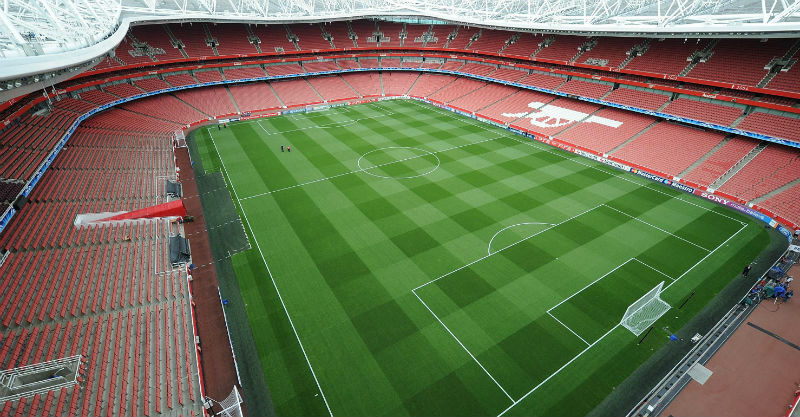 Arsenal Double Club featured on BBC Match of the Day! We were very excited to feature on BBC’s Match of the Day this week! 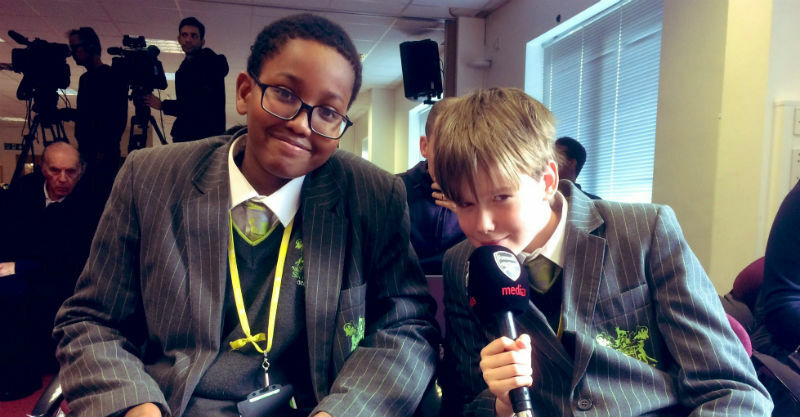 This special feature showed eight lucky pupils from Skinners’ Academy in Hackney, who were invited to the Arsenal Training Ground to attend a press conference with Head Coach, Unai Emery, and ask him some questions in Spanish! 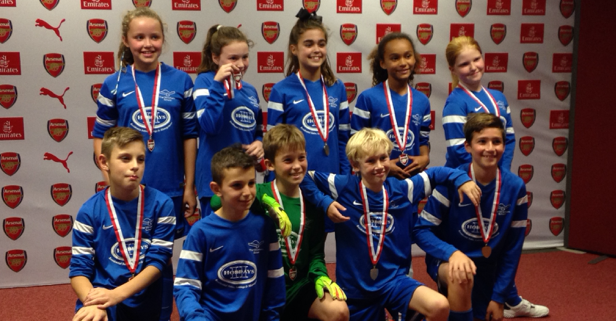 For the second year running, Arsenal in the Community hosted a special event in partnership with Hertsmere Borough Council for primary schools at the Arsenal Training Centre. This year, though, the pupils were supported by 10 pupils from a local secondary school serving as Ambassadors. NEW Intermediate Level resources available for FREE! We are delighted to announce that our brand new range of Arsenal Double Club Intermediate Level resources are now available to all UK schools FREE OF CHARGE! 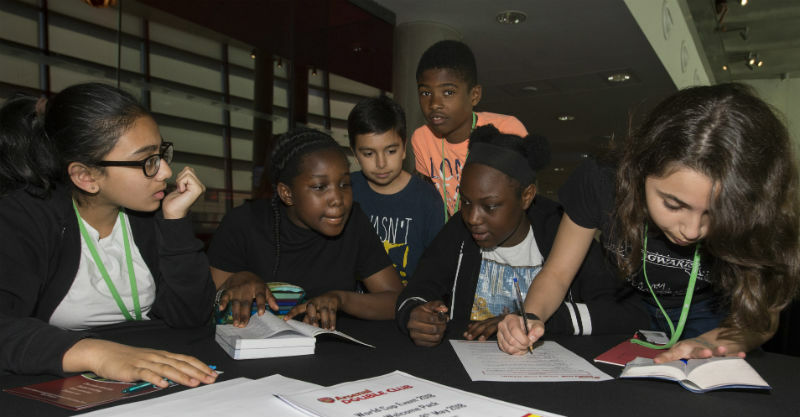 As this summer’s FIFA World Cup draws closer, Arsenal Double Club hosted a very special event at Emirates Stadium as part of our latest national languages competition. Enter our 2018 World Cup Competition! Calling all MFL teachers! 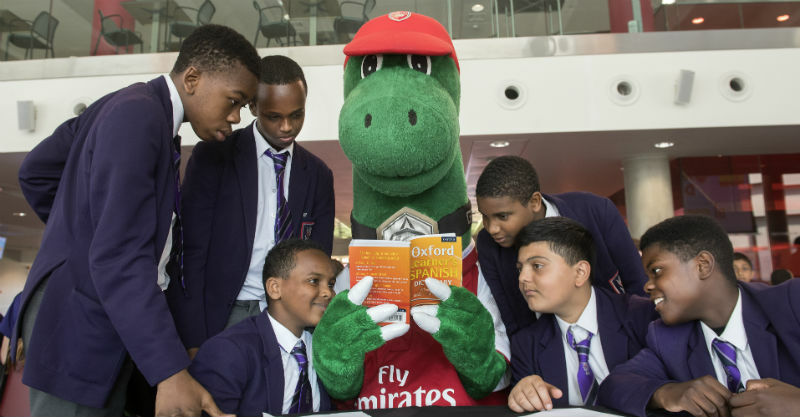 As we look forward to this summer’s 2018 FIFA World Cup in Russia, Arsenal Double Club are back with yet another FREE languages competition – open to all UK secondary schools – for boys and girls in Year 7 or 8. 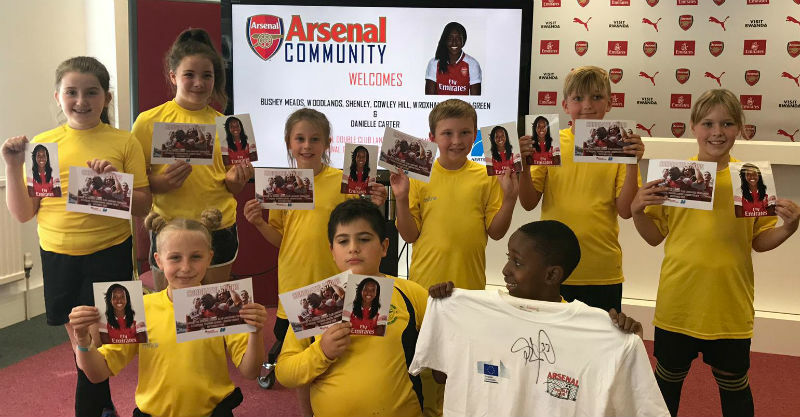 To celebrate the 2017 European Day of Languages, Arsenal in the Community hosted a special event in partnership with Hertsmere Borough Council for four local primary schools at the Arsenal Training Centre.